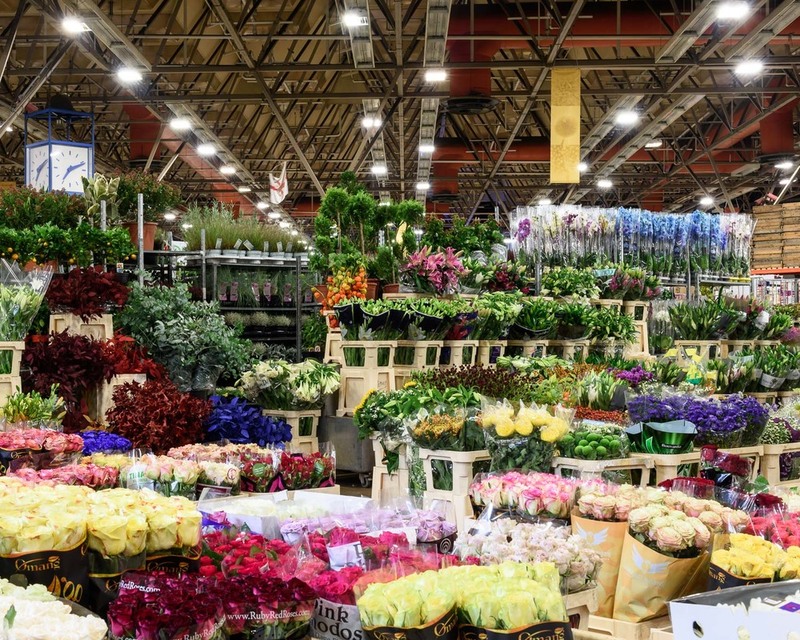 New Covent Garden Market is the biggest wholesale fruit, vegetable and flower market in the UK. Opened in 1974, it is located in South London and provides 40% of the fruit and veg eaten outside of the home in the city and is visited by 75% of it's florists. I grew up about 20 minutes south of the market, and used to pass it on the train on my way up to London. I always wondered why it was called "New Covent Garden Market" when it was nowhere near Covent Garden - it is because the central London Market moved directly to this much bigger site in the early 70s - which I probably could have guessed. The market is about to undergo a massive redevelopment, so it wont look like this for long. I was asked to photograph the market and create an artwork for auction by the charity Article 25, which designs, builds and manages projects to provide buildings for vulnerable communities around the world. For this auction, the area around the Thames was divided up into 100 squares and an artist or architect was assigned to create an artwork about each square. I was pretty happy and curious to be given the square that contained the market - that is until I realised how ridiculously early I would have to be there to get some action. The food market runs from 00:00 - 06:00, and the flower market from 04:00 - 10:00, so one cold dark early November morning I ventured out in my hi-vis vest to see what was going on. And the answer is: geezers. The picture above is the one I sent for the auction, which I found in a cupboard at the back of the flower market. Massive thanks to the best printer and framer in the world, Peter Wolff at Grafik og Foto for printing and framining this one for free.